L.O.F., Inc. - Manufacturers of distributors of quality automotive and industrial products. L.O.F., Inc. holds thousands of copyrights and patents and develops new products on a continual basis. L.O.F., Inc. was founded in 1968 in Northwest Indiana as a retail Recreational Vehicle sales operation. 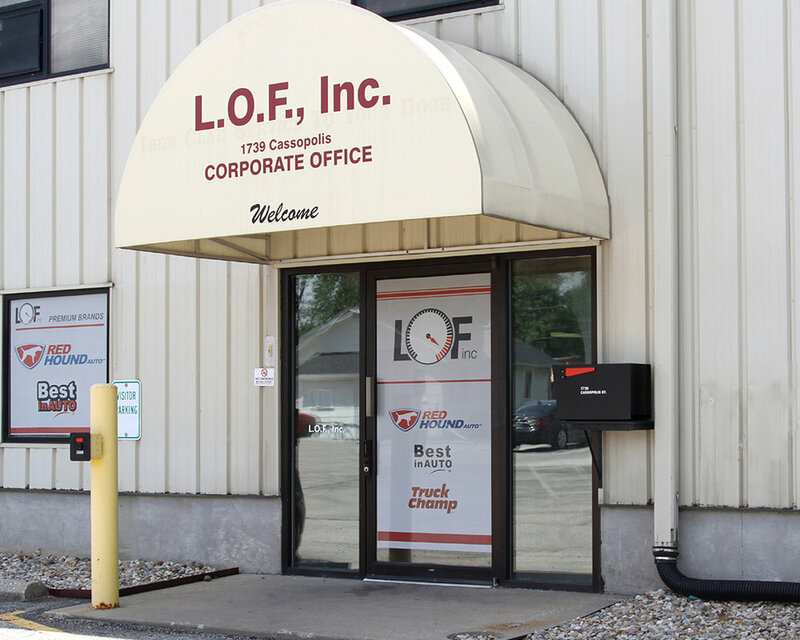 LOF, as it is commonly known, operated mainly as a retail RV and truck accessory store until its sale in 2001 and was moved to our current headquarters location in Elkhart, Indiana. The family owned company was reimagined in 2006 when eCommerce was in its infancy. We started as an online reseller of light truck and accessory products sold through our website. In 2011, we changed our focus to replacement automotive and industrial products under our brands such as Best In Auto®, TruckChamp® and Red Hound Auto®. You can find many of our products sold on many third party selling platforms like eBay.com and Amazon.com. We are proud to maintain an A+ rating with the Better Business Bureau and have achieved ISO 9001 certification since 2013 and were re-certified under the ISO 9001:2015 standard in 2018.